The Buttery in Old Court, which is accessed by going down the stairs next to the entrance to the Great Hall, is where everyday meals are served. You pay a kitchen fixed charge (the “KFC”) each term to cover the basic costs of running the Kitchens and providing food, allowing the cost of meals to be significantly subsidised – a meal will usually cost between £2-4 depending on the options chosen. Buttery meals tend to be cheap and filling and, are for many, the main point in the day for having a break and socialising. Several times a term the Buttery holds themed meals including Mexican, Indian and Chinese. We have one of the best catering departments in the University, and the food at the Buttery tends to be well-liked and there are plenty of options. The college aims to cater for a variety of dietary requirements, with vegetarian and vegan options always available. Dishes that contain allergens are clearly marked so they can be avoided if necessary. There is also a well-stocked drinks and snacks area which is open at all mealtimes and includes a variety of drinks including fruit juices and fizzy drinks, and snacks such as popcorn, crisps, brownies, yoghurt, etc. During the warmer months ice creams are also sold. Breakfast: Monday-Friday, 8-9am Full English, including eggs, sausages (meat and vegetarian), bacon, toast, baked beans, and tomatoes. Toast and croissants, and a range of cereals, fruits, and yoghurts. There are sometimes deals on making this a really cheap meal. Lunch: Monday-Friday, 12:30-1.30pm Salad bar, cooked meat and vegetarian mains, sides, hot soup and bread, dessert options, and ready-made sandwiches are available in the Buttery. The Great Hall is open during lunchtime to provide additional seating. 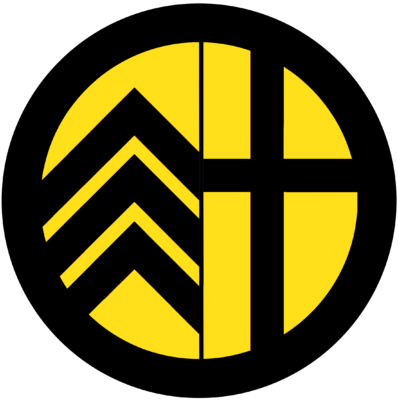 Dinner: Monday-Saturday, 6:15-7:15pm Meat and vegetarian main course options (at least one of each, usually several), side dishes, salad bar, dessert. Brunch (Saturday), 12:30-1:30pm Full English, and often croissants or other extras. This is many people’s favourite meal: it tends to be very busy and is good time to catch up with friends. It is also when the weekly Clare student magazine, Clareification, is distributed. This offers a satirical yet informative insight into the students’ perspective of life at Clare. For Buttery menus and other catering information, please visit www.clare.ac.uk/catering/. Formal Hall is one of the defining experiences of life at Cambridge. It is a three course formal dinner set in the college’s Great Hall. The dress code is smart (boys wear suits), and although wearing gowns is not required by Clare, people generally do. It can seem a bit intimidating, but it is a really nice way to have an atmospheric three-course meal with friends relatively cheaply! Often people will book a Formal Hall for special occasions such as a birthday. 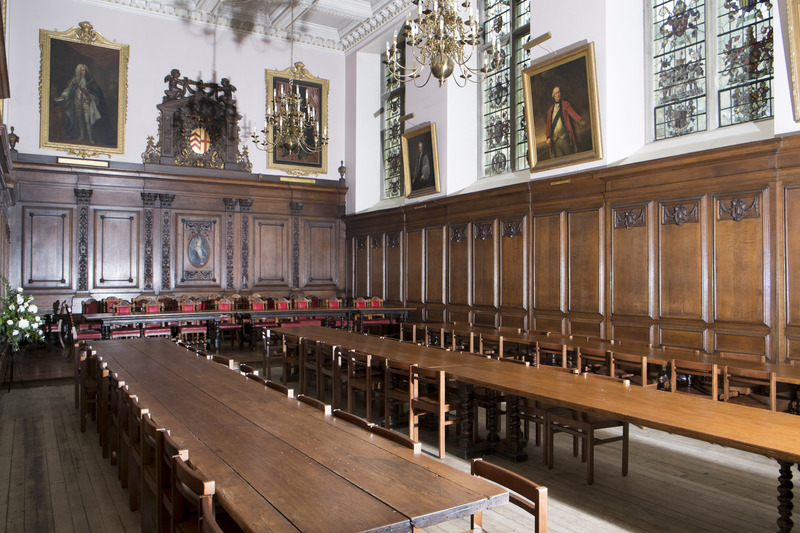 Formal Hall is open to undergraduates every Monday to Thursday during term time. The cost is £8.55 for Clare students, and booking is done online through Upay (www.upaychilli.com); instructions will be emailed at the start of term. Some nights fill up fast, so if you’re planning to go with friends you’ll probably want to book a week or more in advance to ensure everyone gets a place. You can book for you and up to 5 guests (guest tickets cost considerably more). You’ll need to arrive by 7:20pm on the evening to allow time for seating before the meal begins at 7:30. Seating takes place as people arrive, so if you don’t arrive early you might not be able to sit with your group! Cambridge is renowned for having rather old fashioned traditions that accompany formal dining in Hall and for some this can seem rather daunting. However don’t be too intimidated! Clare has removed most of these formalities to what they deem a minimum, in line with the friendly and progressive atmosphere the college strives to foster, whilst still maintaining elements of tradition. Once everybody has been seated and the meal is ready to begin, everyone stands while the Fellows enter and take their places at the High Table. The gong is struck and one of the Fellows will recite a grace in Latin. After the grace, everyone sits and the meal begins. Bread and butter are available (the bread plate is to your left), and a starter is brought in first. Etiquette requires that you only begin eating once everybody immediately adjacent to you has been served (you do not need to wait for the whole table; that could take a while!). Once the course is finished, the waiters will clear the plates, and then bring in the main course, followed by dessert, and finally tea and coffee. There is also a benediction towards the end of the meal just before the Fellows leave; similar to the grace all must stand in silence when the gong is struck. During the meal, you are required stay in your seat and behave in a manner fitting to the formal nature of the event. However, despite a few requirements, formal is also supposed to be fun! It is generally accepted that after the Fellows leave, things become a bit more lax and students may move around, take group photos and sing happy birthday. Note that if you would like to drink wine, you must bring it yourself and there is a limit of one bottle of wine between two people, so don’t forget to arrange this with a friend ahead of time. However after formals people often congregate in cellars for a few pints (or whatever tickles your fancy). Small Hall is a more expensive and smaller version of Formal Hall. The Small Hall is located opposite the Great Hall and seats up to 40 people. Unlike Formal Hall, which is booked individually, the entire Small Hall is booked out by a single group. Generally, students tend to book out Small Hall for very special events such as 21st birthdays. 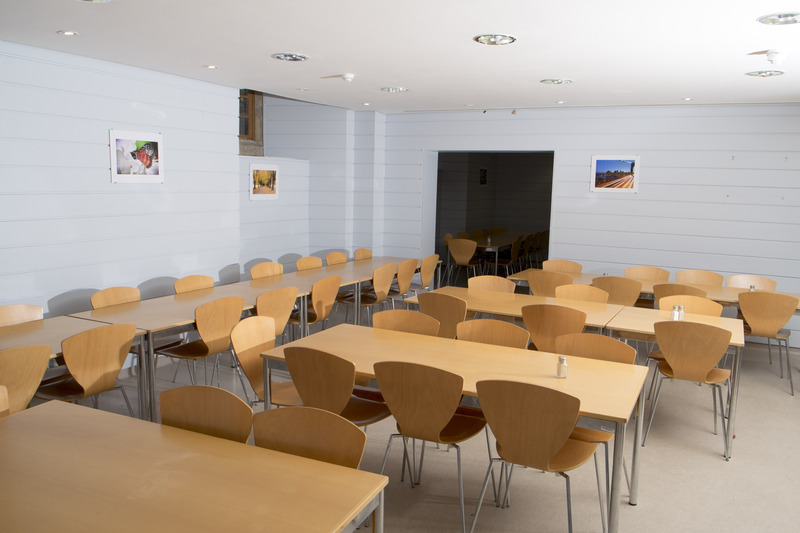 Many societies and academic departments also organise meals there, often subsidising the cost, so chances are you’ll be able to go at least once or twice during your first year. The menu is chosen ahead of time in discussion with the Catering Department. The cost for Clare students is £34.74 per head, and the cost for guests is £38.84 per head – a lot more expensive than Formal Hall – but it is well worth it: the food is absolutely amazing and the wine portions far more liberal (depending on the event) – it makes for a wonderful evening. The dress code is decided by the host but is often black tie. Since Small Hall is a private event the traditions listed above at Formal Hall do not apply. “Gyp room” is the term in the Cambridge vernacular used to refer to the small kitchens that are available for student use. These are located in the same staircases as student rooms, and each one is shared between about 3-8 students, so bring a marker pen to name your milk! Despite the fact they are shared by so many students, the gyp rooms, like all communal spaces in college, are cleaned every week day (Monday to Friday) by our wonderful team of bedders so they remain clean. Don’t forget to empty your fridge by the end of term! All are equipped with at least one fridge (sometimes fridge space can be a little cramped), a toaster, a microwave, hobs, a kettle, and a sink, as well as cupboard space to store food and cooking equipment. Although gyp rooms tend to be small and not as well equipped as your typical home kitchen, it is possible to cook almost any food with a little ingenuity and patience. Some people choose to cook almost all of their meals in their gyp room; others hardly every cook. Cost-wise, the price of a typical meal at the Buttery is probably about the same as that of buying ingredients yourself, so it is entirely a matter of personal preference whether you go fully self-catered, fully catered, or anywhere between the two. There are plenty of supermarkets to choose from in Cambridge. Sainsbury’s on Sidney Street is by far the most popular for Clare students, being the cheapest and nearest supermarket to Memorial Court (where you’ll be staying in first year), being an 11 minute walk away. However the range of items provided comes at a premium with it being the chain’s most expensive store. It also closes at 5pm on Sundays but slightly further away is a Sainsbury’s Local next to Parker’s Piece which closes at 11pm every day. Aldi is a 9 minute cycle up a rather large hill and offers a reduced range of products but at a reduced price. Meat there is very cheap but normally I can’t be bothered to cycle uphill as the rest of Cambridge is notoriously flat. There are also Tesco and Asda superstores a little further out of town and are far cheaper than the central Sainsbury’s. However it would take around 15 minutes to cycle to Tesco and carrying a week’s worth of shopping back by bike may prove a challenge! For those who like to splash out, there is a little Waitrose about a 9 minute cycle away near the Grafton Centre. There is also an M&S Food in the centre of town, nearer than Sainsbury’s. However this is even more expensive than Sainsbury’s so I reserve this for truly special occasions. There are numerous other small supermarkets dotted around town.